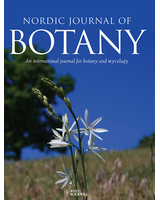 In this study, the seed morphology of the taxa Nigella, Garidella, and Komaroffia were examined to provide systematic knowledge about the tribe Nigelleae. The seeds of 21 taxa in 20 species from Mediterranean and West Asian countries were studied using both zoom stereo and scanning electron microscopy (SEM). A principal coordinate analysis (PCoA) and Unweighted average linkage analysis (UPGMA) were performed to assess the contribution of seed characters to defining the taxonomy of the tribe. Representative pictures from zoom stereo microscopy and SEM studies and measurement of seeds were prepared. Seed shape and color are controversy with proposed generic level of the tribe. Macromorphological characters have importance at sectional level rather than generic level. Five main types of seed ornemantations– rugulose+striate, granulate, smooth, rugulose and mucronulate‐ were detected. Patterns in seed micromorphology, however, mainly supported taxonomic relationships at sectional treatment in Nigella and two of the three sections are well differentiated based on only seed characters. Seed morphology alone provide good support to Garidella as a distinct species, but it shows less taxonomic value for Komaroffia. Distinct seed shape, size, and surface sculpturing separated studied taxa into five main groups.